The problem with health affiliate programs is that most target the same niches with similar products. There is no uniqueness to the products being offered. There is no USP or unique selling point. It’s OK to send your email list an offer for a similar product however is it the same product as the last one you promoted but in different packaging? If this is the case, the offers are too similar to have an effect and encourage a would be buyer to get their wallets out and actually buy something from you. When you are looking for a health affiliate program to promote health and beauty products as an affiliate, it’s valuable to spend a little time checking the uniqueness of a product. How many other similar products are available online? Is shipping Free for the buyer? Is the offer a bundle offer? Does the offer include 1-click up sells and email up sells. Does the product being offered have a sub-niche appeal to an already established niche? These are all some of the things to look for when looking for a health affiliate program. Every offer you promote should have it’s own unique selling point. If it doesn’t, then your audience has probably seen similar products before and has no reason to buy the products you promote over other products. In addition, every niche market can be divided into several micro-niche markets. Products and offers that are so specific are reasonable candidates to promote since the message being portrayed is focusing on the ‘bulls-eye’ buyers in those micro-niches. These are buyers who have not yet found what they are really looking for in an existing niche. Hence ‘micro-niche offers’. Micro-niche products convert highly since the offer is micro-targeted to a micro niche within an existing niche. This entry was posted in Health Affiliate Program and tagged Health Affiliate Program, Health Affiliate Programs, Niche market on July 8, 2011 by Admin. If you have ever promoted anything as an affiliate you will know that all affiliate programs are not the same. Some affiliate programs promise you the world and give you nothing in return. Whilst others make claim to only the actual real life potential you can achieve by promoting the affiliate program. I firmly believe in the golden rule “do unto other as you would have done to you”. I try to apply this in all aspects of life and creating affiliate offers is no different. 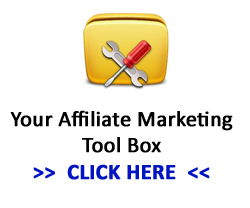 Besides, who would want to promote an affiliate program that doesn’t convert – No One. So why then do most affiliate programs just throw together any old offer and ask affiliates to promote an untested offer. Any affiliate program that does this is abusing it’s affiliates since they are asking their affiliates to waste time testing the offer for them. This can also damage the affiliates reputation if the affiliate sends offers or advertises ‘dud offers’ that don’t connect with the buyer and could even discourage a buyer from trusting you as a trustee in the future. The only way to avoid this is to only promote offers that have been ‘tested’ by the developer. When the developer or affiliate program owner spends his or her own money from his own pocket testing new offers before recruiting affiliates, you know the offer has been tweaked and tested and carefully fine tuned to perform. I am also an affiliate and when it boils down to choosing the best affiliate offer to promote, it’s a minefield out there. The affiliate commission has to be good however in my experience the highest percentage payout does not necessarily mean the offer will convert well, if at all. So how do you choose the right health affiliate program to promote? I wish I had found an affiliate program where all the offers had been tested, prior to me promoting them and feeling like some kind of guinea pig. If you are looking to make money from a health and beauty affiliate program as an affiliate marketer, all the offers you find in the SG Health Affiliate Program have been tested and finely tuned to convert. They will work for you; not as a guinea pig, but as a real business partner. This entry was posted in Health Affiliate Program and tagged Health Affiliate Program, Health Affiliate Programs on June 8, 2011 by Admin. It often amazes me how some health affiliate programs get away with giving their affiliates so little to work with and then expect the world back. You have your email list of trusty subscribers who read your email list as soon as it hits their inbox. What you say to your subscribers is valuable content and good‘Old honest information. – Then, you look for a suitable affiliate offer to show to your subscribers. The problem is, if you only have a 1 page or 2 page offer to send your newsletter subscribers to, your going to have to work harder to research and create new content. That is, if you want to send the offer out several times to the same list. This is what most health affiliate programs offer you. A simple link to a product page with little information describing the product. Don’t get me wrong, any good affiliate knows that to provide additional unique content backing up the offer, creates a more value. So wouldn’t it be even better, if the affiliate program provided at least 10-20 pages of unique content on the products website as well as lengthy email auto-responders enticing your subscribers to buy! Doing it this way, instantly makes the affiliates life a whole lot easier. The affiliate is then able to write a short review or summary of the article or content on the product website and point potential buyers to different pages of the website over a period of time. With more pages of unique content to chose from, you have a lot more control over how you promote to your subscribers AND to make your affiliate business unique. Here’s an example of what I mean.. In the case that a subscriber doesn’t buy on day 5 you continue to.. If the sale isn’t made, the process repeats. If you only had an offer to promote with a skinny 1 page website to send your list to, you would run out of content pretty soon. And anyone else promoting that product would have an identical offer to yours. On the other hand, if you chose to promote an offer that has a website with lots of pages and lots of content to send your list to, allowing you to chose which pages of content would be more suitable to show you list, it makes your job as an affiliate a hell of a lot easier to make sales. And we ALL like more sales! The next time you chose to promote an offer from a health affiliate program, make sure you chose one that doesn’t take advantage of your list by only supplying you with a 1 or 2 page offers with hardly any content. Chose the right health affiliate program that will actually listen to what the affiliate wants to make your life easier and to make more money as a partnership for both the health affiliate program and the affiliate. This entry was posted in Health Affiliate Program and tagged Health Affiliate Program, Health Affiliate Programs on October 18, 2010 by Admin. I once knew a guy called Jack. He was working as a media marketer for an offline business and earned the company hundreds of thousands of dollars every year and he was also pulling in a decent salary that sustained his family with a stylish living. Everything changed when the company started to make cut backs and Jack was laid off and paid a mere pittance compensation for his years of commitment. What was Jack to do next? He had bills to pay like everyone else, after 3 months of not being able to get job in marketing his wife was worried about the mortgage and the kids schooling fees and started feeling resentment towards Jack. Jack had to do something. After deciding that scratching at the feet of company bosses begging for a job was not his thing, Jack decided to start his own business – this was it, all or nothing. Jack spent every minute of the day transferring his own marketing skills that he had developed and mastered over the years working for ‘the man’, into an online presence. Every day Chiseling away one chip at a time developing marketing channels and sales funnels for products that he didn’t have to invest time or money developing and creating himself but for products that other businesses had spent time and money creating. On the 5th week of mastering how to use his skills online, the checks started to come in. The more Jack promoted, the bigger the checks would be. They didn’t come all at once but Jack was able to keep his head above water for 6 months until finally the pay-checks eventually grew to more than what he was getting before working for someone else (but without the office politics and groveling to the boss). Even though Jack was promoting products as an affiliate for a health affiliate program, he owned his own business and he decided what to promote Not the other way around. To make money online, you don’t necessarily need a product. In fact if you don’t have a product yourself your in a good position. You have the pick of the bunch so to speak, choosing at your own leisure which products to promote. Sometimes the percentages that affiliate programs payout is as much profit margin if not more than the actual product owner would receive. Obviously this makes sense since the affiliate doesn’t have the business costs and product costs the product owner would have. All the affiliate does is promote existing products and earn as much if not more profit than the product owner. You can believe me when I say that affiliates make the world go around and you might be surprised to know just how many affiliates are out there, not hiding but out of the spotlight, laying below the radar, directing and matching buyers to offers and earning half the cut of all online transactions. This entry was posted in Health Affiliate Program and tagged Health Affiliate Program, Health Affiliate Programs on September 3, 2010 by Admin.